Okanjo is a big idea for publishers and brands and we want people with big ideas – in programming, marketing and sales. A passion for newspaper publishing or retail is not necessary, but wouldn’t hurt either. We offer everything you expect from a great company – health insurance for our full-time employees (including optional vision), free parking, and yes, free coffee. We value work/life balance because the best ideas come from well-rounded minds. If you are looking for a start up that’s already started up, send us a resume. Be sure to tell us about all the great things you’ve done. We really want to know. At Okanjo, we work together and strive for a common goal. Your contribution will have a direct impact on the success of our company. We don’t believe in answering emails over dinner. We understand our team has a life outside of Okanjo, so we respect and value a healthy work/life balance. The city of Milwaukee becomes alive with energy from all of the music, beer and food festivals in summer. The people here blend midwest work ethic with entrepreneurship. We offer full health benefits for our full-time employees, including optional vision insurance. 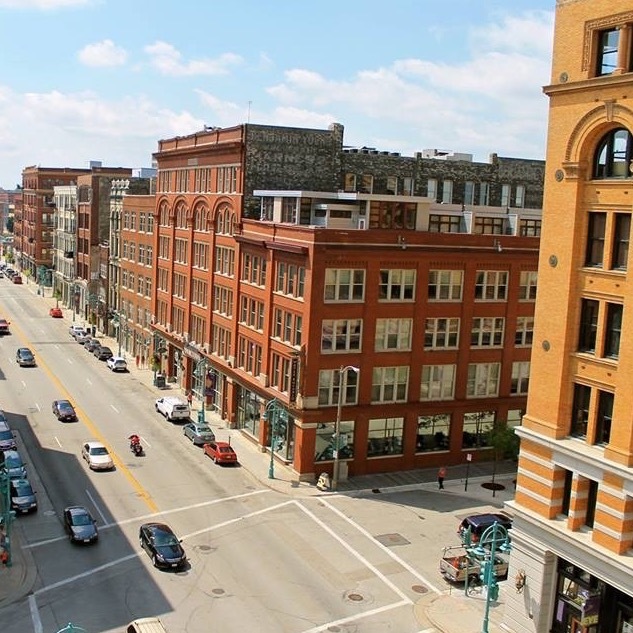 You're guaranteed a paid parking spot in downtown Milwaukee, which really comes in handy during all of the summer festivals. We are not hiring at the moment - but always feel free to reach out! Email your resume or inquiries to rachel@okanjo.com.